Shimada started giving improvisational performances on the violin in 1980. In '85 he started Agencement, a solo taped music project in which he layers his own violin performances on magnetic tape. He subsequently released LP records and CDs. His releases Viosphere (1991) and Boxe Consonantique (2001) received high praise in Japan and other countries for their musical originality. Since the 2000s he has also been collaborating with many performers in live concerts. He has invited numerous musicians from overseas, including the English improvisational guitarist John Russell, and organized concerts in his hometown, Kanazawa. In 2010 and 2013, Shimada performed in "Mopomoso Quaqua" (at London Vortex Club), a concert series presented by John Russell. 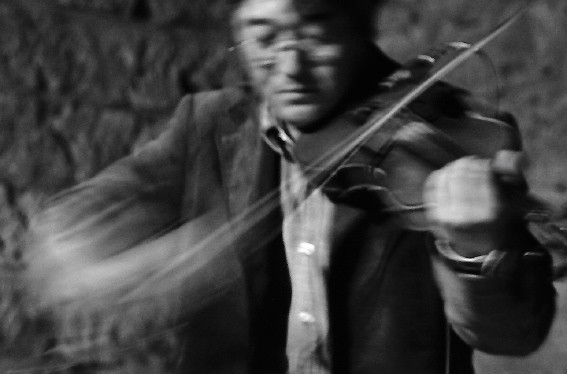 In recent years he has also been playing electronically modulated violin in his live performances.